In general, a vacuum pump is a device that uses various methods to improve, create, and maintain a vacuum in an enclosed space. 1. The temperature of the compressed gas is low, and the exhaust gas temperature is only 10~15 °C higher than the intake air temperature. Because of this feature, it is easy to be suitable for pumping and feeding flammable and explosive gases. 2. Vacuum pump can be assembled with separators, heat exchangers, pipelines, valves, instruments, and electronic control devices and placed on a chassis as a complete set of equipment. 3. The compressed gas of Vacuum pump is substantially isothermal, that is, the temperature of the compressed gas process changes little. 4. No metal friction surface in the Vacuum pump chamber, no need to lubricate the Vacuum pump and the wear is small. The seal between the rotating member and the fixing member can be directly completed by a water seal. 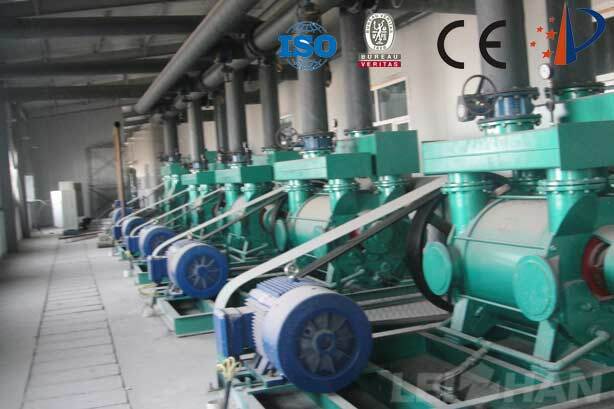 Welcome to consult with us for Vacuum pump, we can give the reasonable price for paper mill friend.